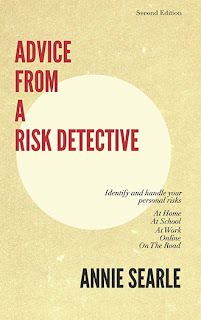 Advice From A Risk Detective: I feel your pain. Literally. This is one of the hundreds of photos tweeted last night after a 7:30pm security lockdown at SeaTac Airport when a guy went in through an exit and set off alarms. Several concourses were evacuated and everyone was forced back through TSA screening. Planes were held from take off or landing until around 9pm. This is a tremendous inconvenience to everyone involved, including myself, who was coming in on a plane from Boston at 9:45 and waited for a gate to become available so we could land after a 6 hour flight. What will it take for TSA to improve their breach procedures, including communication of the level of risk? No one knew anything, though passengers were tweeting away with indignation. The Port of Seattle was essentially silent during the event. Surely it is possible to provide announcements to airline personnel, airport workers and visitors to the airport to let them know how severe the problem might be: is it a "suspicious package?" Is it "entry through an exit?" Is it someone brandishing a weapon? I'm speaking at a port event late in April and plan to raise this as an issue with Port staff. We need to do better, especially on putting everyone through the raise in blood pressure. To TSA's credit, there were many tweets about how courteous and sympathetic TSA personnel were on the re-screens.